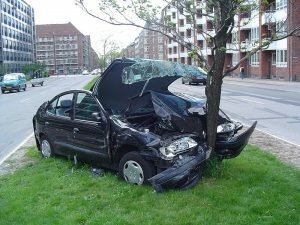 What Do I Do About My Vehicle After An Accident? When an automobile (truck, motorcycle) accident happens due to someone else fault, there is damage to your vehicle. When trying to get your vehicle fixed or replaced, you will have a lot of issues. Some of these issues include whom to contact for compensation of your injuries. Other times, you’ll wonder if you should contact your insurance provider. This is where a Mesa, AZ Property Damage Lawyer can be of assistance. I will discuss the various problems involved with the property damage in this blog and future ones. One issue is Should I have my car fixed or totaled? When a car costs more than its worth, it is usually totaled. This decision can be very time consuming, and a wrong choice can haunt you for a long time. For example, if the vehicle should be fixed, do you have the insurance company body shop or your own body shop fix it? An experienced injury lawyer is knowledgeable in what resolutions are best for you when solving your property damage problems and will fight for the best decision for you. Call (480) 345-0444 to speak with an Arizona Auto Insurance Claim Lawyer. We provide Free Consultation to new clients. A property damage lawyer or auto insurance claim attorney in Mesa, AZ, knows how property damage coverage and claims are made. I associate with the top 1 or 2% of trial lawyers that are best suited for your particular case. I am involved in practically any kind of injury case you can imagine. I will protect your rights and seek all possible compensation due to you.